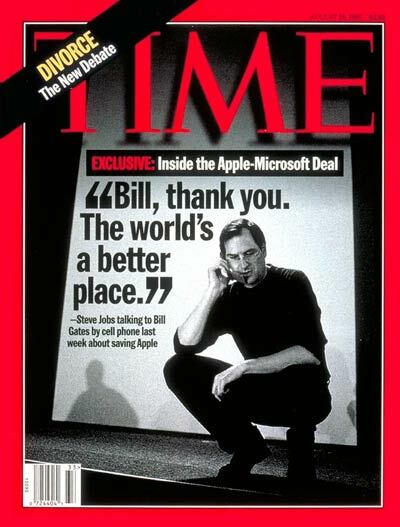 Today in 1997, Steve Jobs was on the cover of Time Magazine, thanking Bill Gates for saving Apple. This entry was posted in Apple, Computer history, Microsoft, This day in information. Bookmark the permalink.